Want to offer innovative, exciting Science Programs to your Scouts? Invite Mad Science to your next meeting! We promise to "do our best" to help your scouts achieve their badge requirements while sparking their imaginations with fun, interactive and hands-on science. Need a show or booths for a larger meeting or awards dinner? Click here to check out our special events. At the Mad Science Lab or your Location! Daisies will learn the basics behind what makes a robot, then try out programming on their own! Daisies will learn about what Robots are used for and work together to brainstorm robot ideas. Daisies will design a robot and create a prototype! Daisies will learn about the sun, the moon, and the stars in this fun class! Come be courageous and strong at the Mad Science lab. Complete experiments in different fields of science (entomology, geology, chemistry and physics) while learning about courageous and strong female scientists who were pioneers in these fields. Note: Daises can complete all steps except their take action projects for the journeys below with Mad Science of Western NY. Daisies will learn all about the ecosystem. Become Earth aware while learning how any why we need to keep the Earth healthy! Go on a journey of science between the Earth and Sky with Mad Science of Western NY. Start with Earth's crust, move onto insects and end learning all about the weather in the sky. Children get engrossed in entomology! We will learn all about bugs, their habitats, and even their defenses! Science is all around your home. Whip up some fun experiments using things you find in your own kitchen! See a foaming volcano, balance drops of water on the head of a penny and make Raisins dance on their own! Learn all about the ecosystem and how you can be clean and green for the planet. Learn how and why you should help save energy and water at home while having fun with Mad Scientist! Learn how science and simple machines make a car faster. Learn about friction & motion as Brownies get to brainstorm, build and test a Drag Racer which they get to take home. Learn all about robots while designing & building a robot with Mad Scientist. Brownies will explore five sense with the Mad Scientist and enjoy hands-on experiments while testing their sight, sound, taste, hearing and touch senses. Brownies investigate the solar system, telescopes, and all the wonders of space! Who gave us Morse code, earmuffs, or lightbulbs? 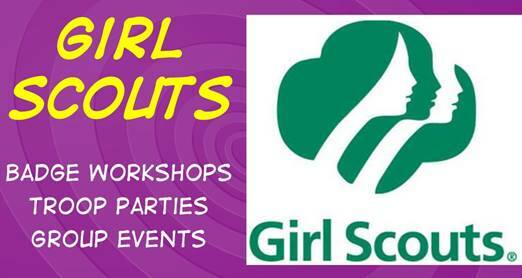 Scouts will go from observation to presentation on their journey to becoming a great inventor. Note: Brownies can complete all steps except their take action projects for the journeys below with Mad Science of Western NY. Learn all about water and the environmental issues related to the water system. Complete hands on experiments to learn about the effects of oil spills and the difficulties of cleaning them up. 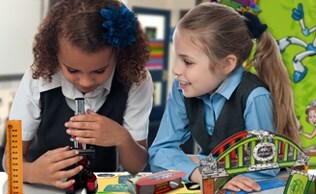 Brownies will learn about fundamental Engineering principles such as Mechanics, Kinematics and Energy. They will have chance to do some hands-on activities and see their relevance in real-world applications. Go undercover and see what it takes to be a real detective! Learn about fingerprints, handwriting analysis, and make your own invisible messages. Juniors will learn about movie science, special effects and play with sound. In this double class, scouts will brainstorm, design, and create a robot, then put together a presentation about their robot that they present to the rest of the group! Scouts will meet the requirement for TWO badges during this class. Scouts will explore the sky as they learn about the solar system, planets, stars, and beyond! Come go on a Nutrition Mission at the Mad Science Lab and step into some healthy habits. Learn how food provides energy for the body, and how exercise plays a role in energy levels. Note: Juniors can complete all steps except their take action projects for the journeys below with Mad Science of Western NY. 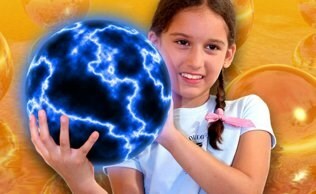 Explore Electricity! Learn the difference between static electricity and electrical current. Juniors will get to have some hair-raising fun with a Van de Graaff Generator. 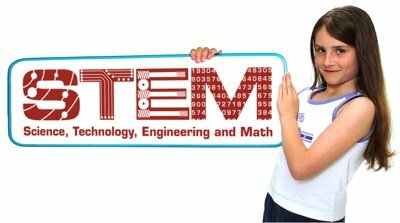 Juniors will learn about fundamental Engineering principles such as Mechanics, Kinematics and Energy. They will have chance to do some hands-on activities and see their relevance in real-world applications.